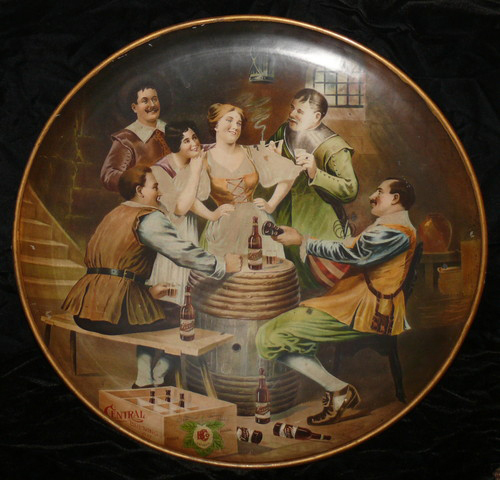 Serving Tray for The Central Brewing Company showing a group of people having a party with Central Brewing Beer. The detail and action in the image is very nice and the case of beer and empties show that they are getting along quite well! I think its safe to say that this is the kind of advertising that sells bottles.